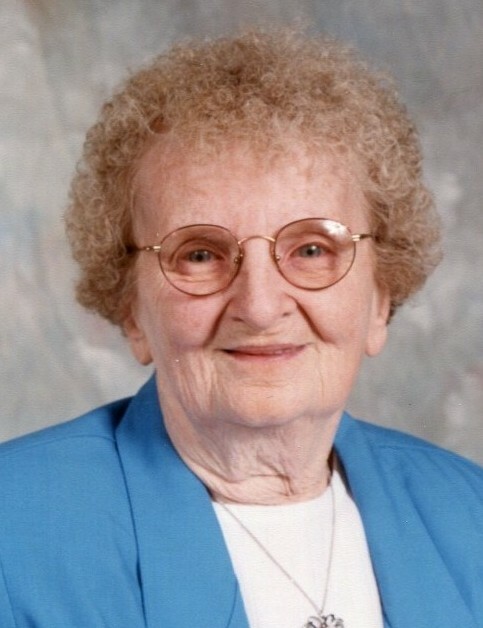 Betty L. Olson, 87, of Rockford passed away Wednesday, April 10, 2019. Born December 19, 1931 in Geneva, Illinois, the daughter of George and Fern (Vandergriff) Kennedy. Married Gordon Olson on December 6, 1958 in Rockford. Retired after 17 years from OSF St. Anthony Hospital. Betty enjoyed cross word puzzles, jigsaw puzzles, collecting angels and watching Wheel of Fortune. Survivors include children, Diane (Jim) Bell of Roscoe, Barb Lee-Moreau of Rockford, Nancy (Dale Nelson) Dean of GA, Patrick (Maria Smith) Olson of Machesney Park, Hank (Sue) Olson of NE, Mike Olson of Rockford; grandchildren, Gene (Lori) Lee, Jim Bell, Darcy (Art) Davis, Kimberlee Perkins, Kristie Bell, Tracy (Greg Fielder) Bell, Emily Olson, Ashley (Stewart) Laver, Chattman (Theresa) Olson, Abby (Zach) Spear; 18 great grandchildren and one on the way; sister, Leota Grenier; brother, William Kennedy; and several nieces and nephews. Predeceased by husband; and 4 brothers. Special thanks to Alden Debes and OSF Hospice. Funeral Service will be held at 12:00 p.m. Monday, April 15, 2019 in Honquest Family Funeral Home with Crematory – Mulford Chapel, 4311 N. Mulford Road, Loves Park with a visitation from 11:00 a.m. until time of service. Private burial in Cedar Bluff Cemetery. In lieu of flowers memorials may be given to the family.